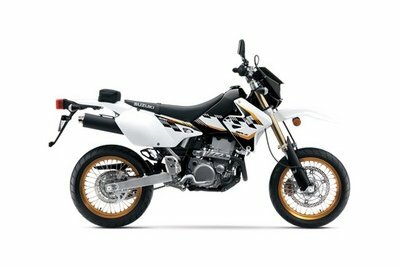 Versatile, reliable and comfortable, the Suzuki DR-Z400 SM is a practical motorcycle that can deal great both with the city streets and the dirt. 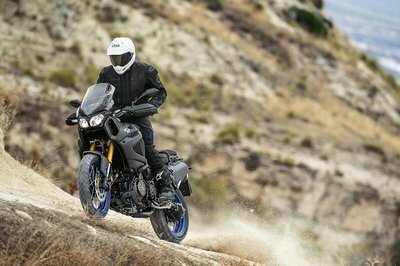 Based on the DR-Z400S, the DR-Z400 SM combines Supermotard style with street-legal features. It is built around a compact, 398 cc, 4 stroke, liquid cooled, single cylinder, DOHC engine which features 29 mm exhaust valves, narrow 28 degree included valve angle and shim-under-bucket valve adjustment system. The engine’s power is transferred to the ground by means of a five speed constant mesh transmission which utilizes a cable-operated clutch with separate outer cover. The Suzuki DR-Z400 SM rides on RK Excel aluminum rims shod in 120/70-R17 front and 140/70- R17 rear tires. The Suzuki DR-Z400 SM can be yours for no less than $ 7,189. Hit the jump for more information on the Suzuki DR-Z400SM. The Suzuki DR-Z400SM is a street legal bike for serious dirt bike enthusiasts on pavement roads. It’s not uncommon to take the SuperMoto down twisty forest trails as well as tight canyon corners. 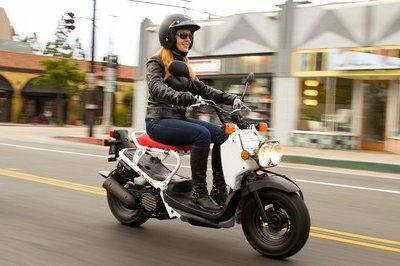 Its 398cc liquid-cooled, four-stroke engine provides strong low-rpm torque and crisp throttle response for any of these occasions. The key difference from the DR-Z400SM and the DR-Z400S are the inverted forks. Inverted front forks contributes to less unsprung weight and improved overall handling. The SuperMoto also comes with wider rims and stickier tires than the dual-purpose 400S. •	Suzuki’s Supermotard model based on DR-Z400S - combines Supermotard style and features in a narrow, lightweight street-legal package. •	Automatic decompression system for quick/easy engine starts. •	Compact 4-valve cylinder head with 36mm intake valves, 29mm exhaust valves, narrow 28-degree included valve angle and shim-under-bucket valve adjustment system. •	Electric start with lightweight starter motor and a compact 6.5 amp maintenance-free battery. •	Forged aluminum piston is 10 percent lighter than a cast piston and receives additional oil-cooling to the piston crown through a crankcase oil jet. •	Lightweight 398cc, DOHC, liquid-cooled, dry-sump engine produces strong, tractable low-rpm power. •	SCEM-plated cylinder (nickel-silicon-phosphorous) is lighter and more durable than an iron liner with excellent heat transfer properties. •	Smooth throttle response with a Mikuni™ BSR36 CV-type carburetor fed by 6-liter airbox. The left side cover has quick-release fasteners for easy access to the air filter. •	Thermostatically controlled cooling fan mounted to the left radiator helps maintain consistent operating temperature in traffic. •	Additional weight savings with magnesium valve cover, clutch cover, and magneto cover. •	Compact 5-speed transmission utilizes a cable-operated clutch with separate outer cover for simplified clutch maintenance. •	A fully adjustable rear shock absorber with high/low speed compression damping adjuster and aluminum swingarm for precise rear wheel control. •	A bolt-on aluminum subframe helps reduce weight and simplify maintenance. •	RK Excel aluminum rims and radial tires: 120/70-R17 front, 140/70- R17 rear. 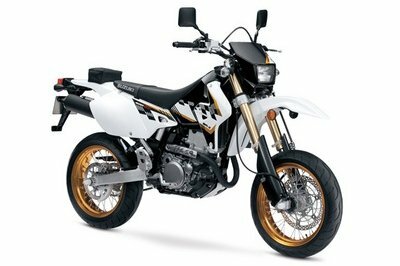 •	Chrome-moly steel frame tuned for Supermoto style riding is torsionally strong with minimal weight. The backbone tube, front down tube, and steering head gussets form the dry-sump engine oil tank. •	Long travel, Showa-brand inverted front fork derived from RM250 - features adjustable compression/rebound damping and alumite coating on inner tube surfaces for smooth action. 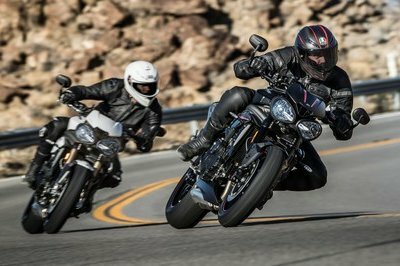 •	Strong braking performance supplied by a front disc brake with a large 300mm floating-type rotor and dual-piston caliper, plus 240mm rear disc brake with single-piston caliper. •	Compact digital instrument cluster with speedometer, odometer, twin-trip meters with addition/subtraction capability, clock, timer and stopwatch functions. 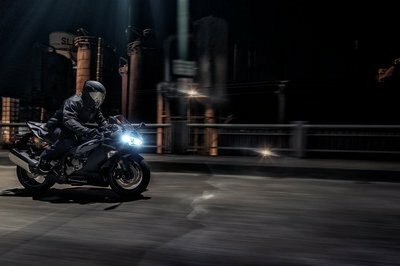 •	On-road legal lighting with bright 60/55 watt halogen headlight, compact tail/stoplight, lightweight, rubber-mounted turn signals and horn. •	Renthal tapered aluminum handlebar for reduced vibration and an aggressive look.